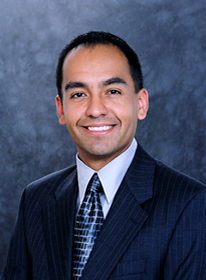 Prior to arriving at SIU in 2011, Steven Macias held visiting appointments at the University of Oregon School of Law and California Western School of Law in San Diego. He has taught a variety of public law courses, including Federal Courts and Remedies, and currently teaches courses in Legislation, Constitutional Law, First Amendment, Privacy, and Legal History. Professor Macias received his undergraduate degree from Stanford University and graduate degrees in law and history from the University of California, Berkeley. He also studied law in the UK at University College London where he received his LL.M. in Legal Theory and History. Professor Macias’s primary research centers on the history of legal thought in the early American republic. His book manuscript, Legal Science in the Early Republic: The Origins of American Legal Thought and Education, will be published by Lexington/Rowman & Littlefield. Future historical research will extend to an examination of legal thought in the second half of the nineteenth century. Additionally, Professor Macias also researches and publishes on the application of critical theory to contemporary issues of sexuality, gender, and family law.